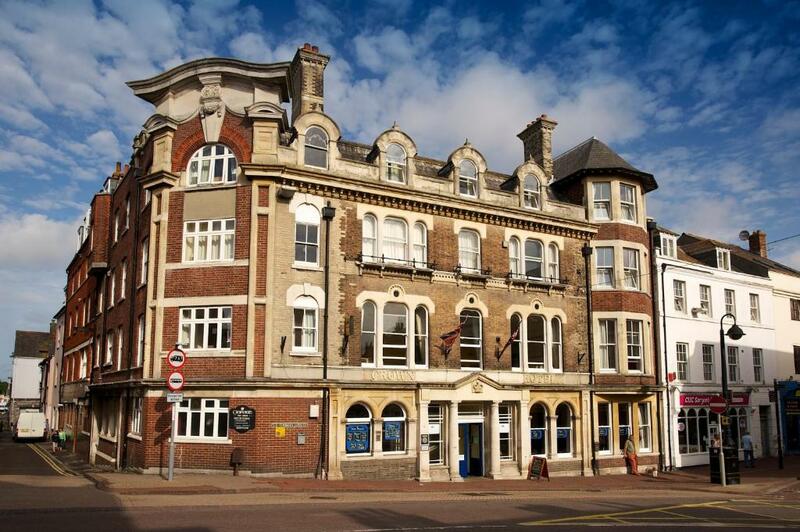 Lock in a great price for The Crown Hotel - rated 8.3 by recent guests. Polite and efficient staff in all departments. Comfortable bed. The breakfast was excellent. 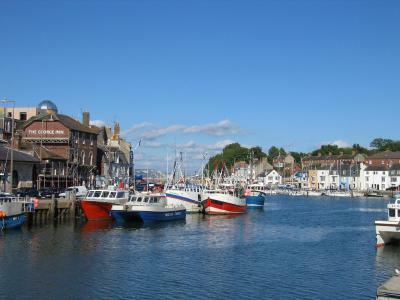 Fabulous location, couldn't be a better one in Weymouth. The location was excellent being very close to the delightful traditional harbour and within easy reach of the promenade and gorgeous beaches. Most of staff were very friendly and helpful. Good bar with reasonably priced food and relaxed atmosphere. Very good location. Friendliness of staff. Clean hotel and room. Very warm room. Ideal location. Very good value for money. The location was excellent although this made parking tricky. However the staff knew about the places to park and the restrictions and had vouchers available. The breakfast was very good and served quickly. Extremely friendly and helpful staff. Central location to the beach, town centre and harbour. Trade off is limited parking on site. 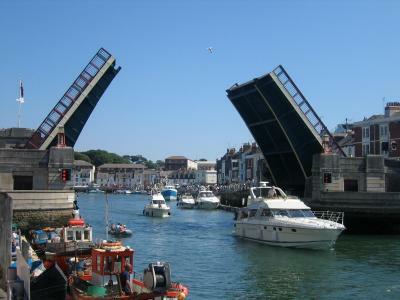 One of our top picks in Weymouth.Situated 1 minute's walk from the town bridge over the historic Weymouth Harbour, this traditional hotel offers comfortable accommodation, a restaurant and bar, and easy access to beach, 10-minutes' walk away. Limited pre-booked parking is available on site, at a surcharge. Each of the 86 rooms at the Crown Hotel include a TV, tea and coffee making facilities and an en suite bathroom with hairdryer. A free Wi-Fi zone is also available for guests. The Vaults Bar and Restaurant serves traditional British dishes at lunchtime, and an extensive menu of snacks and food from the grill is also available. Guests can relax in the lounge and live evening entertainment is offered at the hotel during high season. 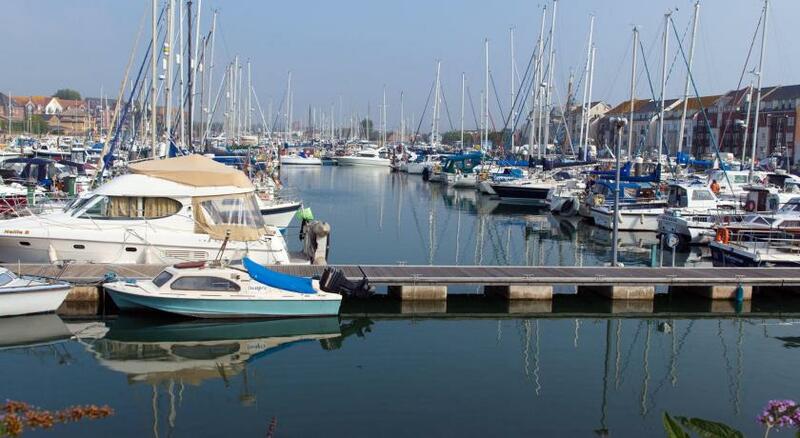 Picturesque Brewers Quay is a short stroll away and the ferry port is 5 minutes’ walk away. The Crown Hotel has been welcoming Booking.com guests since 19 Nov 2012. When would you like to stay at The Crown Hotel? This comfortable room features a TV, tea and coffee making facilities and an en suite bathroom with hairdryer. Please note this room cannot accommodate extra beds or cots. Private parking is possible on site (reservation is needed) and costs GBP 4 per day. 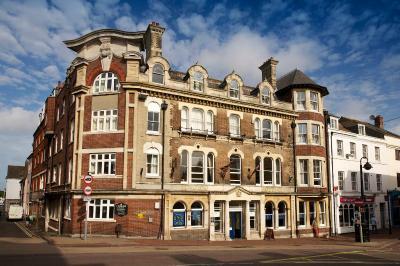 The Charm and Character of the Crown Hotel lies in the warm and friendly atmosphere which always prevails. Hotel Facilities include a residents lounge, The Vaults Bar & Restaurant and a residents Ballroom Bar where there is nightly entertainment regularly throughout the season. reception is manned 24 hours. House rules The Crown Hotel takes special requests - add in the next step! The Crown Hotel accepts these cards and reserves the right to temporarily hold an amount prior to arrival. Please note on-site parking spaces are limited and need to be confirmed in advance with the property. Please note that parking is also available off site. Please contact the hotel to arrange this. Please note the single rooms cannot accommodate extra beds or cots. If the view from the room is a priority, then you will have to ask for one. Adequate breakfast, and location is excellent. Tired run down. They Ask you to drop your key when you go out. Dirty bathroom and bed (hairs ) the rest of the areas were ok.Very hot everywhere. The dated old decorations spoilt the communal areas along with the printed paper signs. This hotel is worth more than this .It could be lovely. The area. We love it there. Great breakfast.. great staff!, great location.. Rooms are always far too hot! 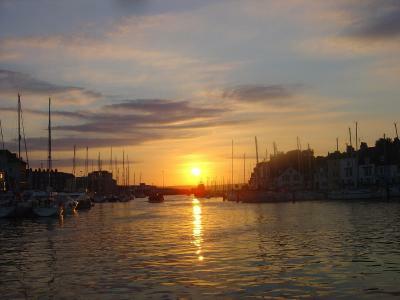 This is a regular Bed for me as I book to Sea Fish in Weymouth and need to travel evening before for an early start. The decor needs refurbishment. The staff at reception were not very welcoming. Surprised at demand for a £20 deposit for a parking permit and a further £10 deposit to use an iron. Attempting to describe floors as decks, rooms as cabins and Reception as the Purser's Office with tatty cheap and nasty cardboard signs looked pathetic. Breakfast room is reminiscent of an army mess hall. Faulty light in windowless bathroom not reported by housekeeping staff.